It is really beautiful fall weather here. The leaves are a beautiful color and everyone is ready for a great month. 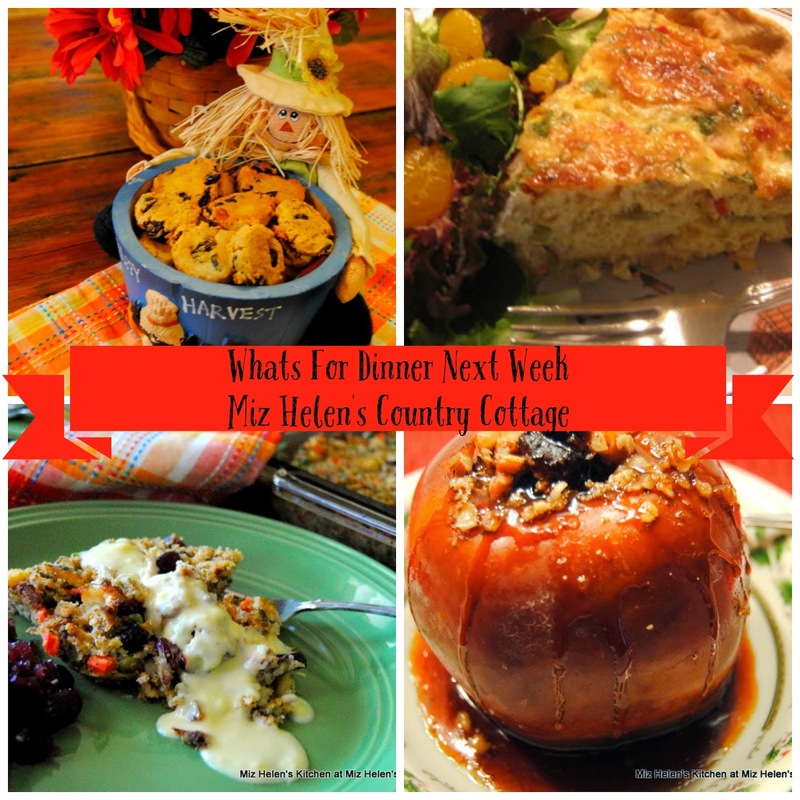 One of my favorites will be on The Menu this week, I can't wait to have the Cornbread Dressing and Chicken Casserole. It's that time of the year when we get to indulge in our favorite fall foods. Thanks so much for stopping by today and spending some time in the kitchen with me, I always look forward to your visits. I sure hope that you are having a great week and come back to see us real soon! I'll be by for some cornbread dumplings and ravioli lasagna! Just discovered you when perusing Menu Plan Mondays and I love your ideas and recipes, they look yummy. Thank you so much for sharing the wealth!